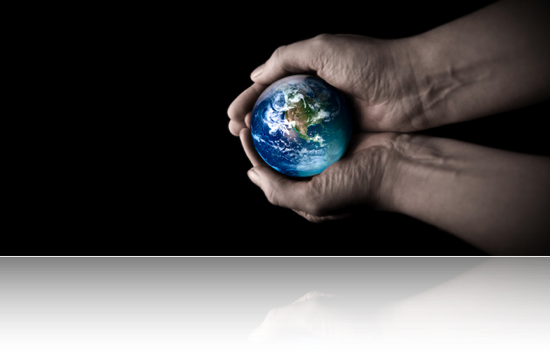 the premise that understanding or knowledge, in and of itself, is not sufficient to change behavior long term. You must reprogram the original subconscious agreement that is subliminally controlling your behaviors, with the assistance of an experienced professional. 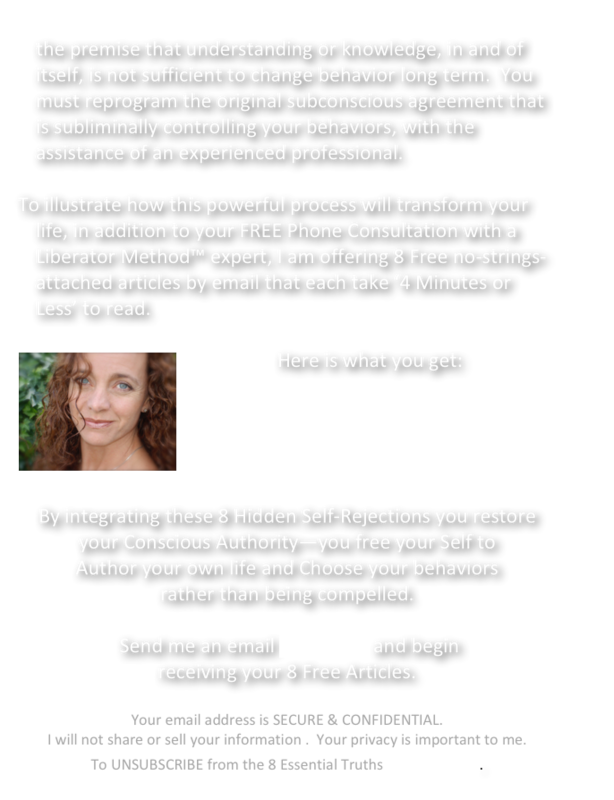 To illustrate how this powerful process will transform your life, in addition to your FREE Phone Consultation with a Liberator Method™ expert, I am offering 8 Free no-strings-attached articles by email that each take ‘4 Minutes or Less’ to read. Here is what you get:￼ The 8 Essential Truths You Are Subconsciously Compelling Yourself to Remember By integrating these 8 Hidden Self-Rejections you restore your Conscious Authority—you free your Self to Author your own life and Choose your behaviors rather than being compelled. Send me an email Click Here and begin receiving your 8 Free Articles. Your email address is SECURE & CONFIDENTIAL. I will not share or sell your information . Your privacy is important to me. To UNSUBSCRIBE from the 8 Essential Truths Click Here.